How does neglect effect children, neglect has a powerful impact on a child, it may not show when they are very young unless it is a extreme case. However, the effects of neglect are hurtful and can be long-lasting foe the children and can become sever as a child grows older. 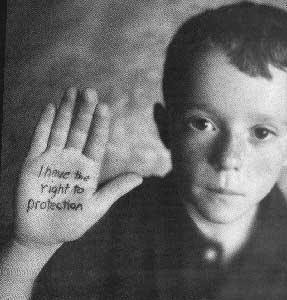 According to Child Maltreatment 2010 they estimated 695,000 children were found to be victims of child maltreatment in the federal fiscal year (FFY) 2010. More than one-half of states (29) reported a decreased number of victims when it was compared to 2009. An estimated 78% from the 695,000 are from child neglect, 2% were medically neglected and an estimated 10 percent of victim (10.3) experienced "other" types of maltreatment such as "abandonment," "threats of harm to the child," and "congenital drug addiction." Although there are four categories of neglect's effects on an individual, they often are related. For example, if a child experiences neglect that leads to a delayed development of the brain, this may lead to cognitive delays or psychological problems, which may manifest as social and behavioral problems. · The relationship between the child and caregiver. Research shows that the first few years of children's lives are crucial and sensitive periods for development. During these years, neural synapses are formed at a very high rate. After the age of 3, synapses start to be "pruned," and certain pathways that are not used may be discarded. Studies supporting the idea of a sensitive developmental period show that maltreated infants suffer from greater developmental disabilities than those children who were maltreated later in childhood. One example of this is the ability to form attachments with one's primary caregiver. If this process is disrupted early in children's lives, they may have difficulty forming healthy relationships throughout their lives. Although learning can happen throughout life, it often is more difficult for children who were deprived of certain types of early stimulation. Studies show that neglected children can be at risk for many physical problems, including failure to thrive, severe diaper rash and other skin infections, recurrent and persistent minor infections, malnourishment, and impaired brain development. Because neglect includes medical neglect, other health problems can arise from the failure of the parents to obtain necessary medical care for their children. If children do not receive the proper immunizations, prescribed medications, necessary surgeries, or other interventions, there can be serious consequences, such as impaired brain development or poor physical health. For example, a child who does not receive proper dental care might be all right in the short term, but suffer from tooth decay and gum disease later in life. Children with diabetes may be fine without treatment for a short while, but an extended delay in treatment could have serious consequences and possibly result in death. A new research suggests children who are emotionally neglected may have a higher risk of stroke in adulthood. 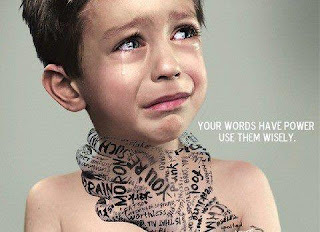 Emotional neglect is defined as failing to provide for a child’s needs emotionally. 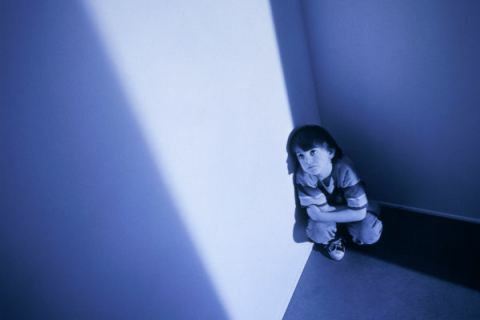 “Studies have shown that children who were neglected emotionally in childhood are at an increased risk of a slew of psychiatric disorders, however, our study is one of few that look at an association between emotional neglect and stroke,” said study author Robert S. Wilson, PhD, with Rush University Medical Center in Chicago. For the study, 1,040 participants who were 55 years of age or older took a survey measuring physical and emotional abuse before the age of 18. Questions focused on whether the participant felt loved by their caregiver, were made to feel afraid or intimidated and whether they were punished with a belt or other object. Questions about divorce and financial need were also included. Over a period of three and a half years, 257 people in the study died, of which 192 had a brain autopsy to look for signs of stroke. Forty of the participants had evidence of a stroke based on their medical history or an examination. A total of 89 people had signs of a stroke based on the autopsy results. The study found that the risk of stroke was nearly three times higher in those who reported a moderately high level of childhood emotional neglect than those who reported a moderately low level. The results stayed the same after considering factors such as diabetes, physical activity, smoking, anxiety and heart problems. “The results add to a growing body of evidence suggesting that traumatic childhood experiences and physical illness in adulthood may be linked,” said Kevin Barrett, MD, MSc, with the Mayo Clinic in Jacksonville, Fla., and a member of the American Academy of Neurology, who wrote an editorial on the research. Wilson noted that a limitation of the study is that neglect was reported from memory many years after occurrence, so participants may not have remembered events accurately. The study has been published in the latest online issue of Neurology, the medical journal of the American Academy of Neurology. 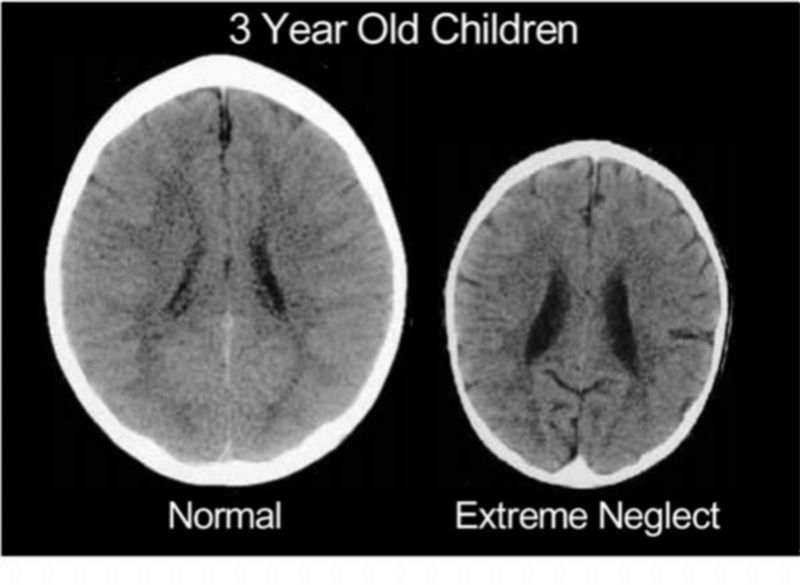 Child neglect has been associated with a failure of the brain to form properly, which can lead to impaired physical, mental, and emotional development. The brain of a child who has been maltreated may develop in such a way that it is adaptive for the child's negative environment, but is maladaptive for functional or positive environments. A maltreated child's brain may adapt for day-to-day survival, but may not allow the child to develop fully healthy cognitive and social skills. Children who are neglected early in life may remain in a state of "hyper-arousal" in which they are constantly anticipating threats, or they may experience dissociation with a decreased ability to benefit from social, emotional, and cognitive experiences. To be able to learn, a child's brain needs to be in a state of "attentive calm," which is rare for maltreated children. If a child is unable to learn new information, this may cause some areas of the brain to remain inactive, possibly resulting in delayed or stunted brain growth. It also can impair functioning later in life and may lead to the child being anxious, acting overly aggressive, or being withdrawn. How does Neglect Impact the Brain? Pregnancy and the first three years of life are the most active periods of brain development in our lives. The following paragraphs are taken from the work of Dr. Bruce Perry, a pioneer in the work of brain development in children and the impact of maltreatment and trauma. Huge portions of the human brain are devoted to social functions and communication including establishing and maintaining eye contact, reading faces, judgments and more. When a baby is born, his brain houses over one hundred billion neurons that will chart paths and make connections based on the social experiences they encounter. By the age of two and a half, approximately 85 percent of the baby's neurological growth is complete, meaning the foundation of their brain's capacity is in place. By age three, the child's brain is 90 percent of its completed adult size. In a remarkable cycle of stimulus and response, the budding brain builds itself using chemical signals generated by vision, smell, touch, hearing and taste to activate and organize the neural cells that make up its tissue and determine the brain's capacity to process, retain and respond to information. Think of it in terms of nutrition. If a baby is not fed consistent, predictable messages of love and communication, then those areas of the brain shut down and the child's capacity to function later in life is compromised. How Does Neglect and Trauma Impact the Brain? Dr. Bruce Perry has researched how the brain develops in response to trauma. To understand his results, let's review how a healthy brain develops. Think of the brain as a upside down pyramid. At the bottom and developing first is the BRAINSTEM which monitors basic responses such as breathing and heartbeat. The next to develop is the MIDBRAIN which focuses on survival functions such as safety and responses to threats. Farther up this upside down pyramid is the LIMBIC system which controls feelings and emotions. The largest and the part of the brain last to develop are the CORTICAL functions which include our frontal lobes and parts of the brain that control executive functions such as reasoning, planning, anticipating, and predicting. The executive functions develop most rapidly during adolescences and early adulthood. Below is what a healthy, well-balanced brain should look like from bottom to top. Normal development results in a healthy brain that is proportioned about 2 to 1. That means the combined Cortical and Limbic systems should be about twice as big as the combined Midbrain and Brainstem systems. This proportion of brain development allows the Limbic and Cortical functions (higher reasoning skills) to modulate and control and balance the Brainstem and Midbrain functions (reactive and reflexive functions). When we try to teach children think before you act, we are asking them to use one part of their brain to help them assess and control what another part of the brain wants to do out of instinct. 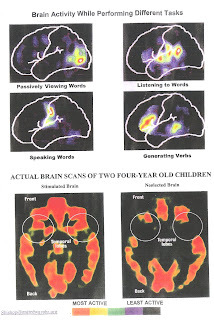 What Dr. Perry found in his research is that when young children experience severe trauma, the Brainstem/Midbrain portion of the brain seems to overdevelop, meaning children will have overdeveloped safety and stress responses and act more impulsively, even though the Thinking/Feeling part of the brain (the Cortical/Limbic systems) may be normally sized. When children experienced neglect, they often did not develop the Thinking/Feeling parts of the brain resulting in an underdevelopment of the higher reasoning parts of the brain. The worst combination of maltreatment was when children experienced both neglect and trauma. That resulted in overdevelopment of the Brainstem/Midbrain functions ( resulting in anxiety, impulsivity, poor affect regulation, motor hyperactivity) and underdevelopment of Limbic/Cortical functions (which affected empathy and problem solving skills). The result looks like this. Neglect during infancy, including nutritional deficits during pregnancy, can impact a child’s development of brain capacity and size. When neglect is combined with trauma, a child’s brain develops in a survival style to help him stay safe. This may result in a child being initially “wired” for survival—being impulsive, anxious, acting from instinct instead of reason, and not able to understand or identify his feelings easily. The physical problems associated with neglect may start even before an infant is born, such as when the mother has had little or no prenatal care or smoked during pregnancy. These children may be born prematurely and have complications at birth. Neglected children also can have severe physical injuries, possibly due to the inattention of their parents, such as central nervous system and craniofacial injuries, fractures, and severe burns. They also may be dirty and unhygienic, leading to even more health problems, such as lice or infections. Children also may be exposed to toxins that could cause anemia, cancer, heart disease, poor immune functioning, and asthma. For example, exposure to indoor and outdoor air pollutants, such as ozone, particulate matter, and sulphur dioxide, can cause the development of asthma or increase the frequency or severity of asthma attacks. Additionally, children may have health problems due to a lack of medical attention for injury or illness, including chronic health problems. Neglected children may suffer from dehydration or diarrhea that can lead to more severe problems if unattended. Failure to thrive can be caused by organic or nonorganic factors, but some doctors may not make such a sharp distinction because physical and behavioral causes often appear together. With organic failure to thrive, the child's delayed growth can be attributed to a physical cause, usually a condition that inhibits the child's ability to take in, digest, or process food. When failure to thrive is a result of the parent's neglectful behavior, it is considered nonorganic. Treatment for failure to thrive depends on the cause of the delayed growth and development, as well as the child's age, overall health, and medical history. For example, delayed growth due to nutritional factors can be addressed by educating the parents on an appropriate and well-balanced diet for the child. 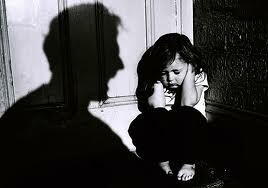 Additionally, parental attitudes and behavior may contribute to a child's problems and need to be examined. In many cases, the child may need to be hospitalized initially to focus on implementation of a comprehensive medical, behavioral, and psychosocial treatment plan. Even with treatment, failure to thrive may have significant long-term consequences for children, such as growth retardation, diminished cognitive ability, mental retardation, socio-emotional deficits, and poor impulse control. Neglect in itself occurs when a parent or other caretaker chooses not to take care for, provide for, or adequately supervise and monitor the activities of their child. Taking care of a child includes the physical, emotional, and educational well-being of the child. 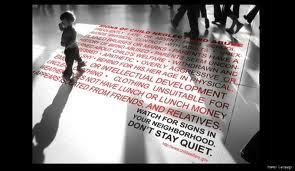 Neglect can also happen when the parent or caretaker does not seek adequate medical or dental care for the child. Another definition of neglect is when the parental figure does not provide sufficient food, clothing, or shelter. The guardian of the child is expected to provide for the emotional needs of the child, neglect can occur when the parents abandon the child, or simply have no time to spend or take care of the child thus neglecting the child and having him/her take care of themselves. If the child is left without supervision, it is considered neglect. The consequences of neglect often negatively affect the child’s development. For example, poor nutrition has negative consequences on the child’s physical and mental development. If not properly taken care of and if the proper nutrients are not available to the child the development of the child will not be on the normal pattern. That can include stunned growth, chronic medical problems, inadequate bone and muscle growth, and a lack of brain development will negatively affect the brain functioning and information processing. Processing problems may often make it difficult for children to understand directions, may negatively impact the child's ability to understand social relationships, or may make completion of some academic tasks impossible without assistance from others. A lack of or no medical care may result in long-term health problems or impairments such as hearing loss from untreated ear infections. Long-term mental health effects of neglect are inconsistent. Effects of neglect can range from chronic depression to difficulty with relationships; however, not all adults neglected as children will suffer from these results. Some individuals are more resilient than others and are able to move beyond the emotional neglect they may have experienced. Characteristics of resilient individuals include an optimistic or hopeful outlook on life, and feeling challenged rather than defeated by problems. This may not be as long or as detailed as the rest of this but most if not all of this is true(above not this, this is real). If it was not for my grandparents I would more than likly be dead from neglect because of my mother. When I was a baby I would be given old milk that had been out for hours and get sick﻿, she would not change my dipers, and I would be left on the floor crying. It is hard for me to interact with other people, I hold up walls and be rude to new people because I always think they want to hurt me too. I am sometimes overly paranoid and jumpy too. I dont understand things that others know without having to be told what it feels like, I just dont understand. I just know hurt, and pain by heart, I have to learn the others by hand but I would not know what it is when I feel it. I dont know what it means to like like someone or what it means to love someone. Hell I dont even know how I am to react to some of the things that my friends say or do, I wait untill someone reacts so that I know what to do or how to act. I am better at it now but it is still hard for me to do things and understand them. 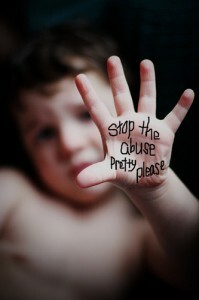 Neglect, it is not something that should be taken lightly, it can kill, be it a life or a life style. really good! super informative and lots of good pictures. I love all the details you put a lot of work into this. It is very important to not neglect your child.